Posted February 28, 2019 by nvtyll_webmaster & filed under Coaches, Parents, Players. 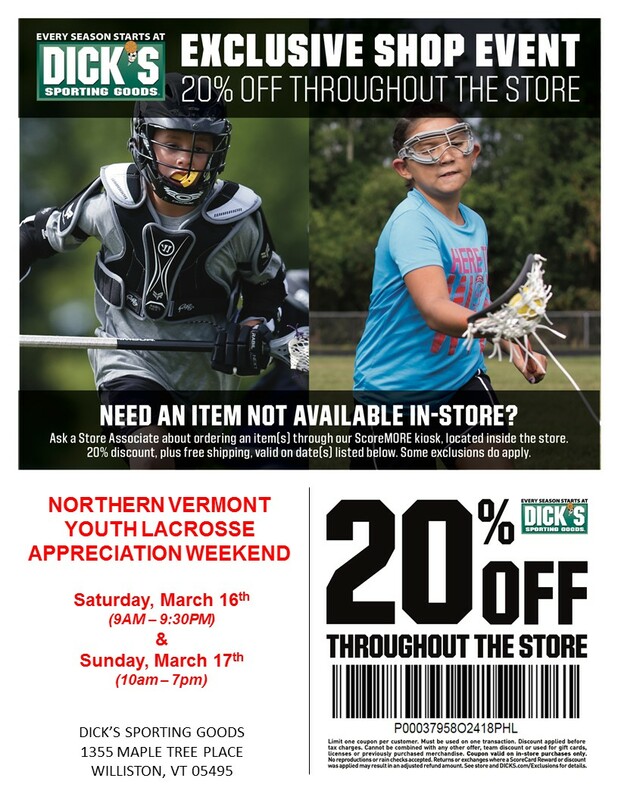 March 16th and 17th Dicks Sporting Goods will be hosting NVTYLL Weekend with a 20% store wide discount. NVTYLL board members will be on site to assist families with equipment sizing, and general questions. Below are the coupon details.